Cinematographer, director. The author of films „Dziobem i pazurem. Prawdziwe życie ptaków” / „Beak and claw. The real life of birds”, „Piasek jest drapieżnikiem” /„The sand is a predator”. Producer, company owner of EUREKA MEDIA which has been producing films and television programs, as well as providing media consulting. 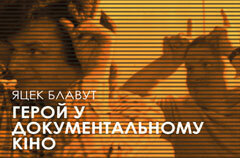 Member of the European Film Academy, European Documentary Network and International Coaching Community. Film producer: „Planeta Kirsan” / „Planet Kirsan”, „17 sierpnia” / „17th of August”, as well as film director of: „Kamienna cisza”/ „Stone Silence”. Cinematographer, documentary filmmaker. «Rysa» / «Scratch», „Rewers” / „Reverse” – cinematographer; „Deklaracja nieśmiertelności” / „ Declaration of immortality”, „Martwe ciało” / „Dead body” – director, writer, sound engineer. Documentary filmmaker, author of documentaries such as: „Kocham Polskę” / „I love Poland” и „Pokolenie 89” / „Generation 89”. Currently is a dean of Łódź Film School. producer of the documentary and feature films, as well as TV projects. The owner of the production firm BESTA FILM. producer of the documentary and feature films, director of television productions. One of the founders of the production company Studio Filmowe Kalejdoskop. Producer of such films as „Jak to się robi” / „How it is done ”, „Artykuł 567” / „Article 567”.